Setting up Writers Workshop in first grade can be a little tricky. Let’s get COZY! Writers Workshop is generally a relaxing time in my classroom. 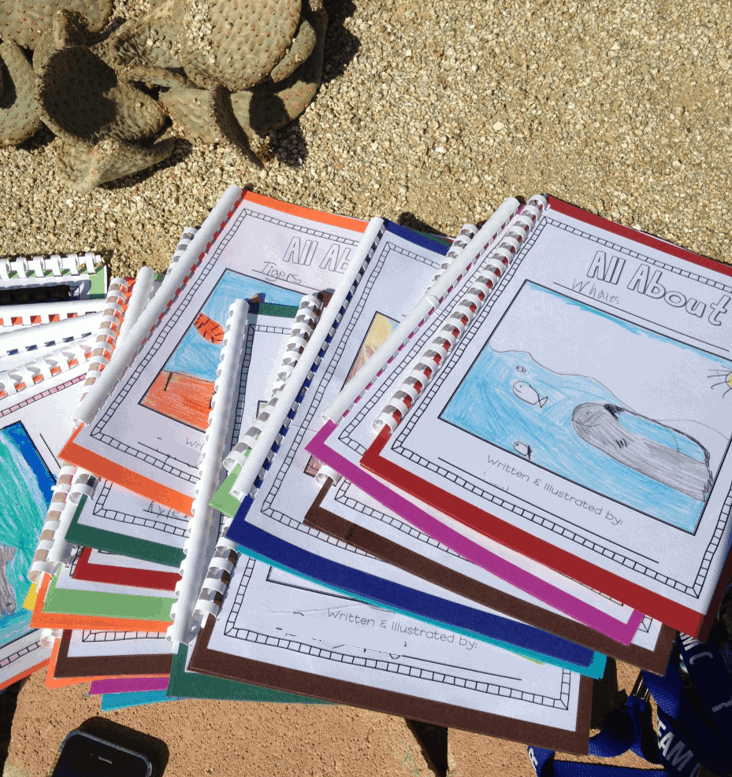 Students work at their seats (or where they feel comfortable with a clipboard) and each have their own folder. 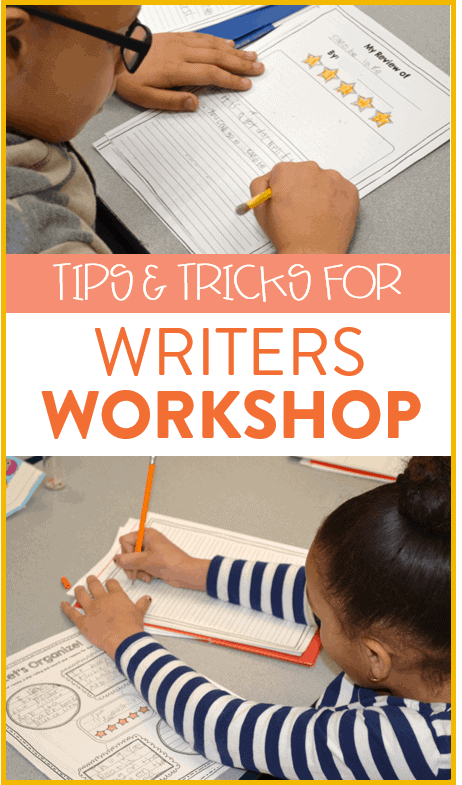 I teach my students the structure of Writers Workshop right at the beginning of the year. Just like our other workshop blocks, we first meet on the rug where I give a mini lesson, then we go to our seats and work independently while I meet with small groups and do 1-on-1 check ins. Once we get to our seats, I always turn the overhead lights off and dim the classroom. My last classroom had plenty of natural light to make this work, but before that, I had floor and table lamps dispersed around the classroom to provide plenty of lighting so students can still see. By turning off the REALLY bright overhead lighting, it automatically created a sense of calming. I also used this Kagan cd to play music in the background. It is calming, classical music that is meant to promote thinking and learning. There has been a lot of brain research done to show how music can reduce stress, improve productivity, and enhance cognitive functioning and I certainly believe it. The second we turn down the lights and turn on the music, I feel the calm spread across my classroom. It turns what can be a stressful academic block into a much more relaxing and cathartic experience. After a couple weeks, the lights going off and music on is an automatic, nonverbal signal that independent writing has begun and students know exactly what to do. I also love the music because it diminishes student talking. Students cannot speak over the music without being too loud and my students learn to love the music so much that they don’t want others to speak over it. Again, its a nice nonverbal reminder to work quietly and independently. Draw, draw, draw: just like when I teach that reading the illustrations is still reading, creating the illustrations is still writing! We talk about writing as storytelling in our classroom and one way to tell our stories is to draw them. We add to our illustrations and add labels. Once my students have illustrations, they can write about what they drew. 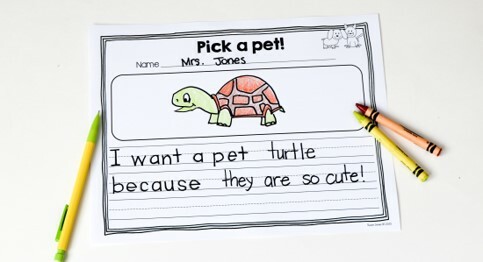 Sentence completion: I want a pet _______ because ______. Sentence completions: These are simple sentence starters that each child in my classroom can complete. I love them because it lets me see who can complete the prompt in a way that makes sense and it also allows my students to trace the beginning and see what good handwriting should look like before they continue. 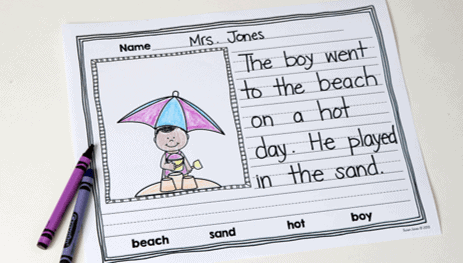 Picture prompt about a boy at the beach. Picture prompts: I will give students a sheet with a cartoon image and they are told to write what might be happening in the story. I also include some relevant words at the bottom for my students to reference. 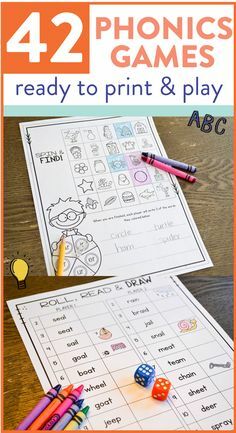 This helps get them started and not be held back by spelling and ideas, but instead it lets me see the basics of their writing. 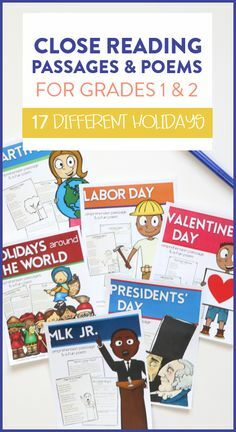 It establishes a starting point for each of my students to work from throughout the year! These crutches help build student confidence in their writing so by the time we are moving into writing our small moments, they have built up some stamina and are used to putting their thoughts on paper. The activities shown above are in my Beginning of the Year Writing Unit. My last tip, is to celebrate all your students’ writing! We celebrate all the time in our classroom and by giving students the opportunity to share their work allows them to feel confident and proud of what they accomplish. Partner Sharing: Pretty much every single day, we share the work we’ve done during writer’s workshop. One of the easiest ways to do this is through partner sharing. My students will turn and share what they’ve written/illustrated with the person closest to them. 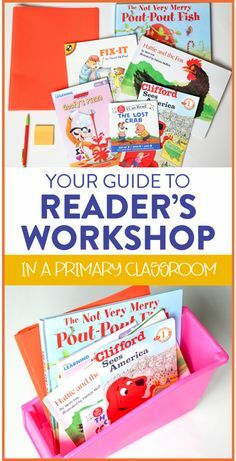 This allows them to re-read their work and practice their storytelling skills. As the year progresses, we work on asking each other questions about our work and providing compliments. Author’s Chair: At least once a week, I like to strategically choose students to share their work with the whole class. I may be highlighting a great use of transition words, beautiful illustrations, or just simply highlighting student progress so we can all celebrate together as a class. Family & friends at our author celebration! Our completed All About Books! 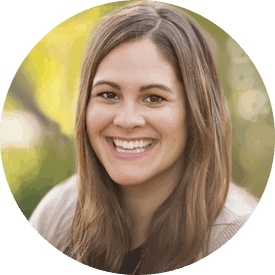 Author Celebrations: These celebrations only happen a couple times a year and it is usually after we publish longer works of writing (like our All About Books or a few Reviews). We spend an entire Writers Workshop block drinking apple juice, eating snacks, and sharing our published work with other people. 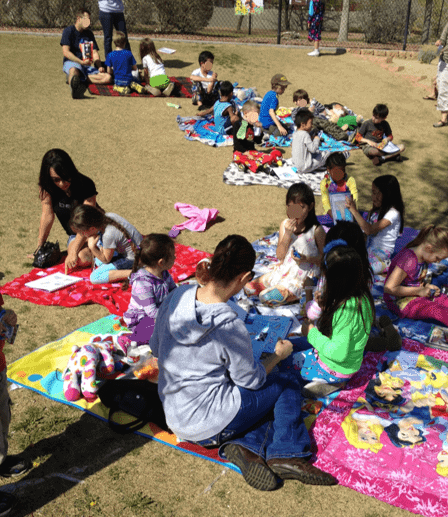 We sometimes invite parents, another class, the principal, etc. Now, if you’re reading this and wondering, “Ummm… Susan… I don’t have time for all this! My students need to be writing personal narratives and realistic fiction stories by the end of the year!” Let me ease your fears. My first graders were also writing small moment stories and by the end of the year, they had published at least 3 different books and most were writing chapter books with well developed characters! 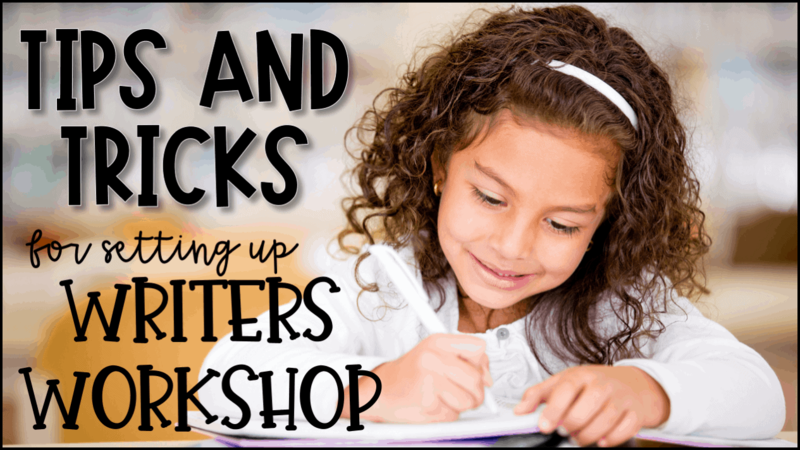 We worked our way through many different writer’s workshop units and yours can too! 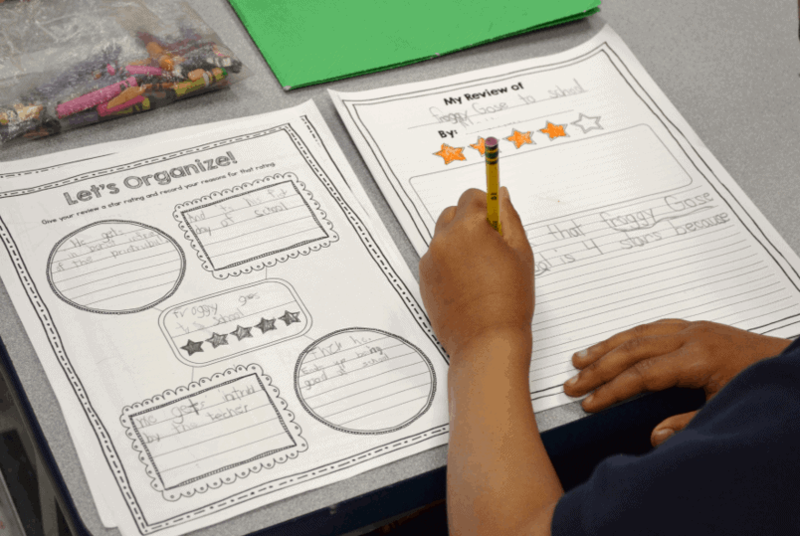 By setting up these expectations and getting your students comfortable with the fact that they are each authors in their own way, your students will be more confident when it’s time to dive in and write some more challenging work.